SCarrots really are an unsung hero. Not only are they good for you, but they’re also deliciously sweet and brighten up the dullest of days, especially when cooked like this! Even in the depths of winter, this recipe will bring some warmth to your table. 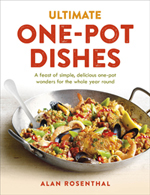 The quantities here will serve 4 as a starter or side. Alternatively, it will easily feed 2 for a light lunch or dinner. Serve with your favourite flatbread. Peel and top and tail the carrots. Cut in half lengthways and then each half in half again, also lengthways. Cut each of the 4 lengths into shorter halves, on the angle, so you end up with 8 pieces per carrot with a slanted end (it just looks nicer that way! ), Of course, if you have extra large carrots, you can cut these batons down to size! Heat the olive oil in a wide saucepan that has a lid. Add the crushed coriander seed and garlic cloves and cook gently, allowing the spice to sizzle, for 2-3 minutes. Now add the carrots, a generous sprinkle of salt and some freshly crushed black pepper. Give everything a good stir to ensure the carrots are coated in the flavoursome oil. Pop the lid on and cook on a low heat for 15 minutes, giving things a stir every few minutes. Meanwhile, prepare your tahini and toasted seeds. In a small bowl, mix the tahini with 2 tbsp water, the juice of 1 lemon and ¾ tsp sea salt flakes (if you only have fine salt, only use ½ tsp). The tahini takes a little while to emulsify with the water and lemon juice but it will, just keep stirring. It should be the consistency of lightly thickened double cream so if it’s feeling a bit too thick, add another tbsp of water or so. To toast the seeds, simply add them to a small dry frying pan and toast over a medium heat until the sesame seeds have turned golden. Transfer immediately to a small bowl. Once the carrots have been cooking for 15 minutes, remove the lid and take out the garlic cloves, leaving them to cool on a plate. Now tip your drained chickpeas and the 5 tbsp reserved chickpea water to the pan with the carrots. Turn up the heat to warm the chickpeas through. Regularly shake the pan to emulsify the oil with the chickpea water. Add a little more salt and black pepper to the pan. Once the liquid has reduced and thickened, turn the heat off and thrown in half the fresh coriander and the lemon zest. Give everything a good stir, have a taste, and adjust seasoning if you need to. Squeeze the garlic cloves out of their papery skins and, using a knife with a wide blade, mash them on a wooden board. Add this pulp to your tahini sauce, stirring well to combine. Taste for seasoning and adjust if needs be. 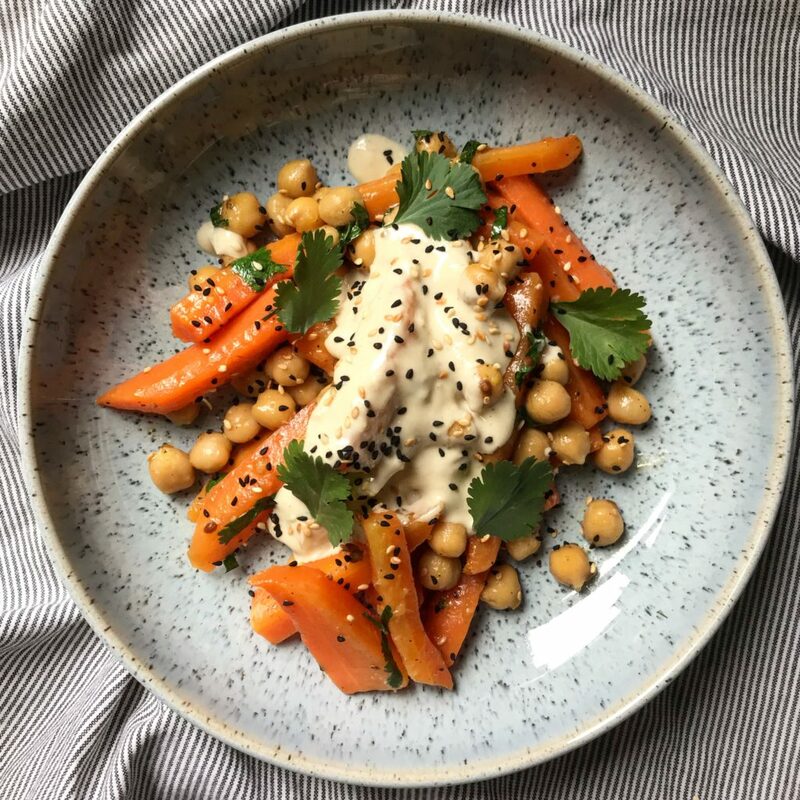 Serve the chickpeas and carrots topped with some of the tahini sauce, a sprinkling of toasted seeds and the rest of the chopped fresh coriander.